Installation Guideline A gap of 175mm must be left on the hinged side of the product to allow the door to open. 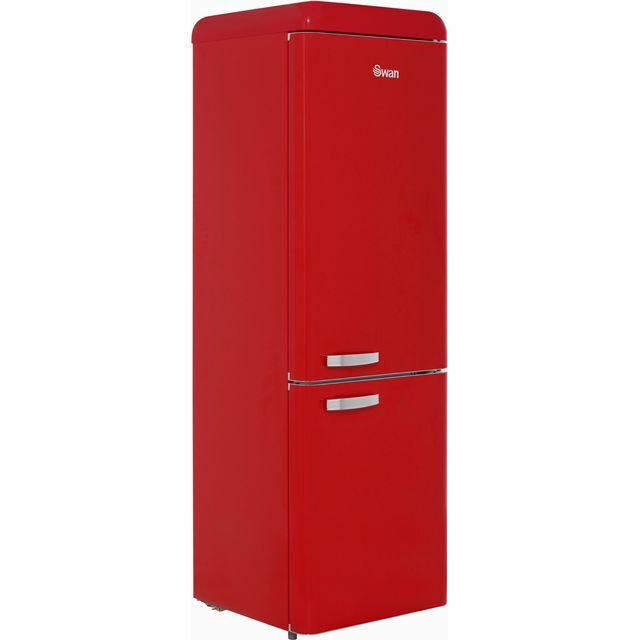 This stylish cream fridge freezer from Swan would be a great addition to your home. 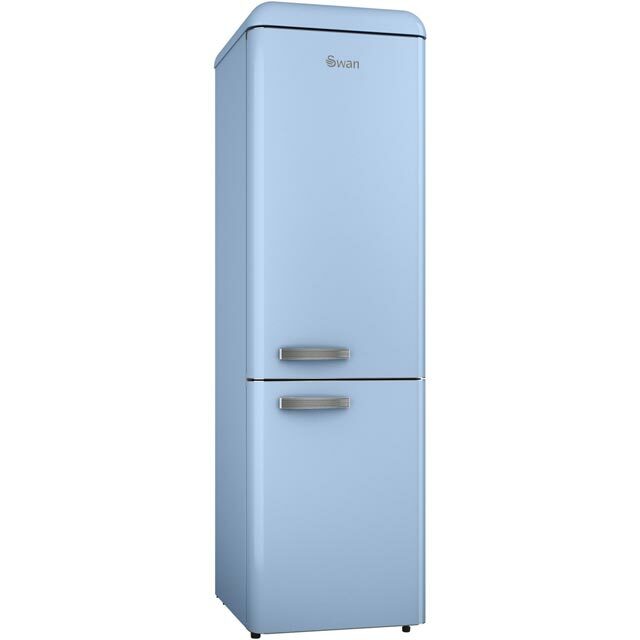 Thanks to its 295 litre capacity, you’ll have room inside for 15 shopping bags filled with succulent meats, nutritious vegetables and your favourite frozen treats. You’ll just need to defrost the freezer occasionally to keep it working as efficiently as it can. This model also has an estimated annual energy cost of £39.42, so you won’t find it too expensive to run. 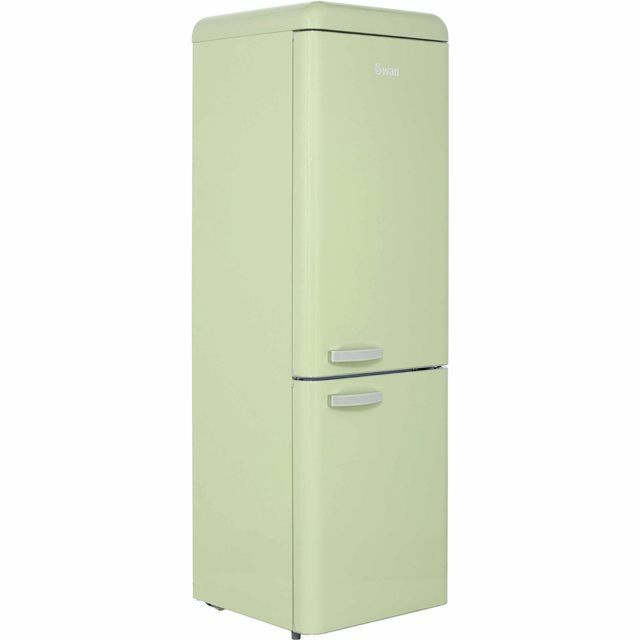 With its eye-catching retro design, this fridge freezer will certainly make a lasting statement in your kitchen. 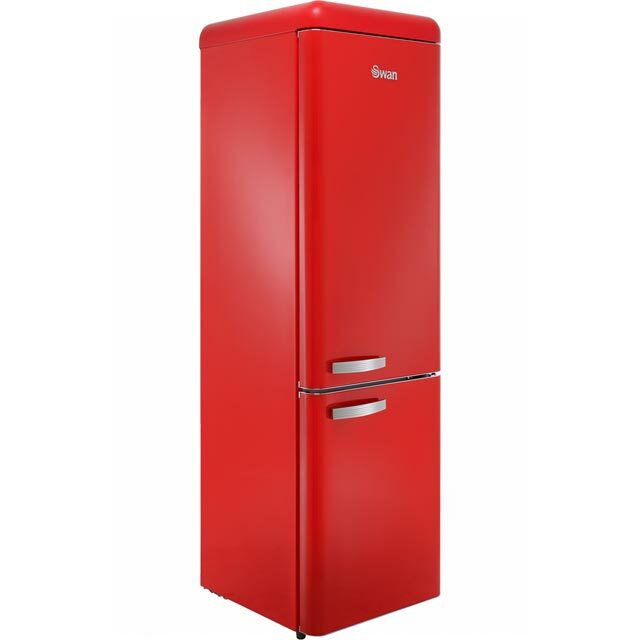 This lovely looking fridge freezer is just what I wanted for the kitchen in my new house. The chrome trims add a great retro feel. The capacity of both the fridge and the freezer are perfect for my requirements. It is not only functional but beautiful as well. This is a fine looking machine and we were well pleased with colour and style. However the excess water was not evaporated as the compressor does not get warm enough. The water collects in the rear tray and has to be emptied on a weekly basis. Thankfully it was free standing. The fault appears to be of a design nature as it was the same with a replacement model. Had to go with a different brand eventually. Really happy with the layout and functions of this fridge freezer, only complaint would be that the colour is more yellow than cream. 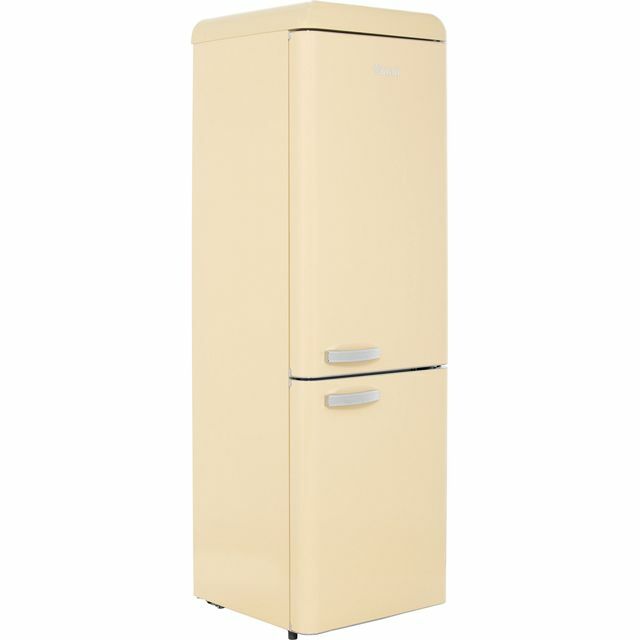 This swan retro fridge freezer looks great ! After 6 days the noise from the back is unbearable.The water tray at the back needs to be emptied every 6 days , I am sick and tired of pulling out the appliance bit it’s the only way to stop the noise .inside the fridge needs scraping daily has it’s back is icy almost all the time.my fridge freezer is 6 weeks old .I would not recommend. Really good retro look gives way to modern cool blue LED lighting inside. The chrome endplates on the doors and the chrome handles really look excellent. Comes with a set of wheels to lean it back on to move about. Theres nothing i dont like about this fridge although i certainly could have bought a fridge with the same limited feature set for much cheaper. I bought this for its looks and i do not regret it.